Two Seattle hoops legends will be involved in the 2019 All-Star celebrity game that kicks off the NBA All-Star weekend. 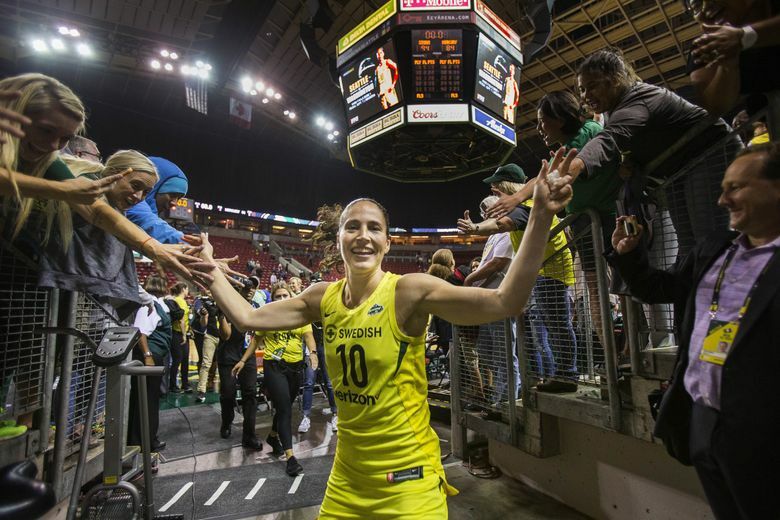 The 2018 WNBA champion Seattle Storm’s Sue Bird will coach the away team, led by former Sonics star and fellow UConn Husky Ray Allen. Along with Allen, Bird’s team will feature Ronnie 2K (2K sports marketer), AJ Buckley (actor), Bad Bunny (recording artist), Stefanie Dolson (WNBA’s Chicago Sky center), Marc Lasry (co-owner, Milwaukee Bucks), Hasan Minhaj (actor, comedian), Quavo (rapper), Adam Ray (comedian), Amanda Seales (actor, comedian), James Shaw Jr. (hometown hero) and Brad Williams (comedian). The game tips off at 4 p.m. Friday, Feb. 15 at Bojangles’ Coliseum in Charlotte, N.C. and can be seen on ESPN. We’ll see what Bird’s game plan is, but she’d be smart to get the ball in the hands of Allen and fellow WNBA star Dolson. She also has last season’s celebrity game MVP on her squad in Quavo. Fresh off her third WNBA championship, Bird is keeping busy this offseason, serving as a basketball operations associate with the Denver Nuggets. Bird is one of two active WNBA players serving roles in the NBA, as the Mystics’ Kristi Toliver is working as an assistant coach with the Washington Wizards.